I have an Eclipse project where I want to keep my Java project built into a JAR automatically. 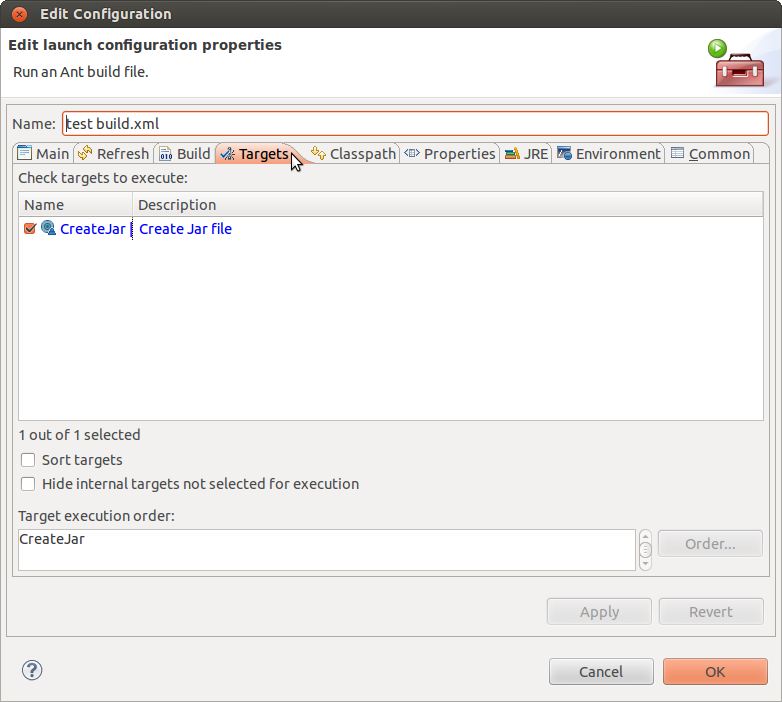 I know I have an option to export the project into a JAR; if I do a right click; but what I am really looking for is, that like Eclipse automatically builds a project's .class files and put them in target folder; it should also build a JAR automatically and copy the latest JAR at some or a specific location. Is there a option to configure Eclipse in such a way, to build JARs automatically? Just to make it clear for guys, patient enough to answer my question; I am not looking at ANT as solution; as I already use it, but what I would like it something that gets initiated automatically either with a time based trigger or immediate build with change. You want a .jardesc file. They do not kick off automatically, but it's within 2 clicks. Now, all you have to do is right click on your .jardesc file and choose Create JAR and it will export it in the same spot. Create an Ant file and tell Eclipse to build it. There are only two steps and each is easy with the step-by-step instructions below. Eclipse should looks something like the screenshot below. Note the Ant icon on build.xml. Step 2 Right-click on the root node in the project. - Select Properties - Select Builders - Select New - Select Ant Build - In the Main tab, complete the path to the build.xml file in the bin folder. 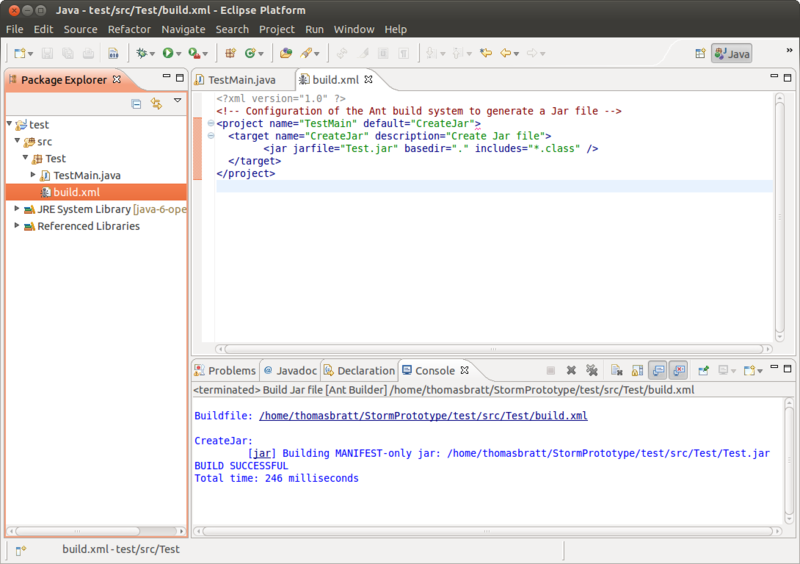 This is possible by defining a custom Builder in eclipse (see the link in Peter's answer). However, unless your project is very small, it may slow down your workspace unacceptably. Autobuild for class files happens incrementally, i.e. only those classes affected by a change are recompiled, but the JAR file will have to be rebuilt and copied completely, every time you save a change. Regarding to Peter's answer and Micheal's addition to it you may find How Do I Automatically Generate A .jar File In An Eclipse Java Project useful. Because even you have "*.jardesc" file on your project you have to run it manually. It may cools down your "eclipse click hassle" a bit. 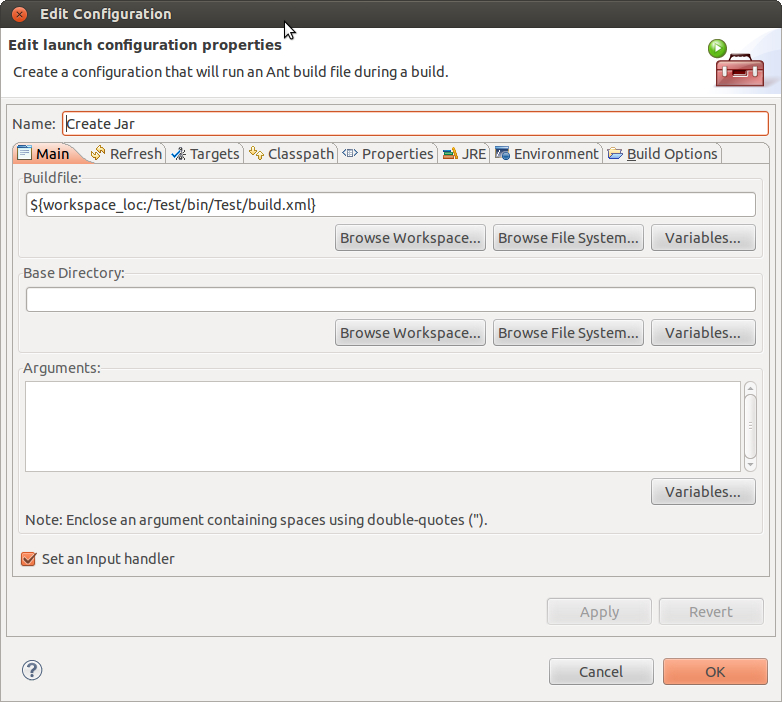 Creating a builder launcher is an issue since 2 projects cannot have the same external tool build name. Each name has to be unique. I am currently facing this issue to automate my build and copy the JAR to an external location. I am using IBM's Zip Builder, but that is just a help but not doing the real. Not the answer you're looking for? Browse other questions tagged java eclipse jar or ask your own question. Do I need 10 step process to make jar file in Eclipse? How to use jardesc in Eclipse? Can I configure Eclipse project to rebuild upon jar modification? How can I make Eclipse export 1 JAR file per project to a specific directory with as few clicks as possible?